BALLINGARRY, or GARE, a parish, in the barony of SLIEVARDAGH county of TIPPERARY, and province of MUNSTER, 5 miles (E. by N.) from Killenaule; containing 5872 inhabitants. This parish, which is situated on the southern portion of the great coal field of Slievardagh, and is the property of Matthew Pennefather, Esq., comprises 13,325 statute acres, as applotted under the tithe act, and chiefly in pasture; there is neither bog nor waste land. The village has arisen within the last 20 years, and consists of nearly 100 neatly built houses inhabited principally by persons connected with the adjacent collieries. Fairs are held on Whit-Monday, July 23rd, Nov. 11th, and Dec. 12th, and are well supplied with cattle and pigs. There is a constabulary police station in the village. The principal seats are Coal-Brook, that of H. Langley, Esq., a handsome residence; Harley Park, of J. P. Poe, Esq., pleasantly situated in a richly planted demesne; and Ballyphilip, of Ambrose Going, Esq., the demesne of which is tastefully laid out. The living is a vicarage, in the diocese of Cashel, and in the patronage of the Bishop; the rectory is impropriate in the Rev. —Hayden; the tithes amount to £738. 9. 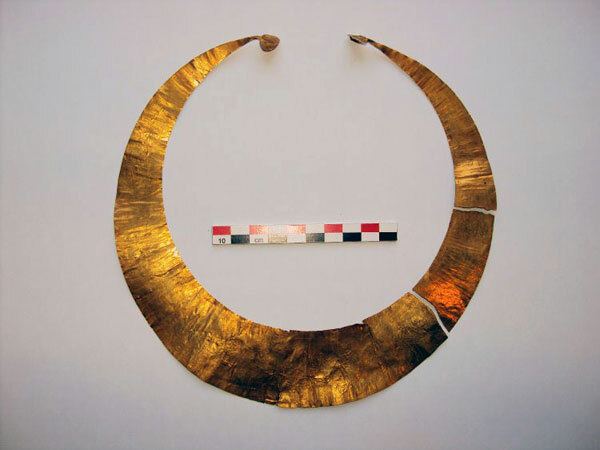 2 ¾, of which £492. 6. 1 ¾. is payable to the impropriator, and the remainder to the vicar. The church, a neat plain edifice with a tower, was erected by aid of a gift of £470 from the late Board of First Fruits, in 1811. The glebe-house was built by a gift of £350 and a loan of £450 from the same Board, in 1814: the glebe comprises 17 ½ acres, subject to a rent. The R. C. parish is co-extensive with that of the Established Church: the chapel, which is situated in the village, is a handsome and spacious edifice, erected in 1828 on a site of about two acres of land given by the late Colonel Pennefather; in the chapel yard is a school-house. A school-house under the trustees of Erasmus Smith’s foundation was erected at an expense of £300, and two acres of land were assigned to it by the late Colonel Pennefather; and there are three other schools, supported by private subscription. These schools afford instruction to about 250 boys, and 120 girls; and there are also six pay schools, in which are about 270 boys and 170 girls. The coal field, of which a considerable portion is within this parish, extends 7 miles in length and 3 miles in breadth: the coal is found in three distinct seams of 12, 18, and 24 inches in thickness, lying above each other at intervening distances varying from 90 to 140 feet, dipping to a common centre, and appearing at the surface on all sides: the extreme depth of the lowest seam is about 700 feet. The coal beds lie about 1800 feet over a mass of limestone rock of great thickness, which shews itself at the surface all round on an average within two miles of the pits. The coal field is divided 115 among various proprietors in portions varying from 1000 to 1500 acres, each of whom is the owner of the coal upon his own land. Some of the mines have been drained and worked by the proprietors, by means of day levels or adits, for which the undulation of the surface is extremely favourable; and of late years several of the collieries have been let on lease to the Mining Company of Ireland, who have erected steam-engines for raising the water from the deeper parts of the mines, and made various other improvements for working them to greater advantage. The collieries on the estate of Coalbrook had been worked upon a judicious plan and with great success by the late proprietor, Charles Langley, Esq., for the last 30 years, and are still carried on in a similar manner by the present proprietor. On the estate of Kilballygalvin, also in this parish, and the property of the Earl of Carrick, are mines under lease to the Mining Company, which are now being opened; and on the estate of Boulintlea, belonging to Edward Cooke, Esq., are others under lease to the same Company, which are now in operation, and for working which, on a more extensive scale, preparations are now in progress. The mines on the estate of Ballyphilip are very extensive, and the coal is of good quality; they have not latterly been worked to advantage, but arrangements are now in progress for opening them to a greater extent and working them upon a more improved plan. The average price of large coal at the pit is 15s. per ton, and of culm, 7s. The coal, which is of the non-flaming kind, is in great request with malsters and millers for drying corn; and is also esteemed very profitable for culinary uses, for which it is carried to a great distance. About three-fourths of the produce of the mines is culm, which is used chiefly for burning lime. The entire produce of the coal field at present is valued at about £25,000 per annum; but the returns are likely to be much augmented by the more extensive working of the mines and the increased demand arising from the progressive improvements in agriculture. Ballingarry, Parochial House and Secondary School. 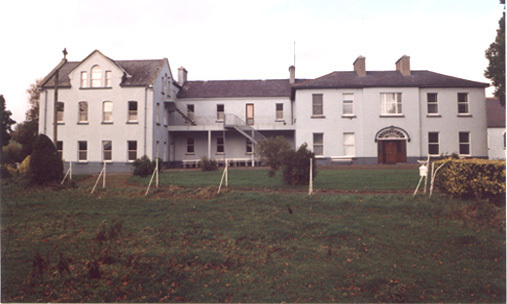 The Presentation Convent residence, its lands, and the Parochial house are inextricably linked, dating back to 1820 when Fr.Edmond Prendergast was PP in Ballingarry. In order to understand the story of the Parocial House it has to be read with the bibliography of the Parish Priests of Ballingarry particularly the above named Fr. Prendergast, his successor Dr. Philip Fitzgerald 1852 – 69 and Canon James Cantwell 1885 – 1905, together with part of the Story of Ballingarry Parish. The Deanery of Ballingarry, consists of five parishes: Ballingarry; Drangan; Gortnahoe; Killenaule; Mullinahone. 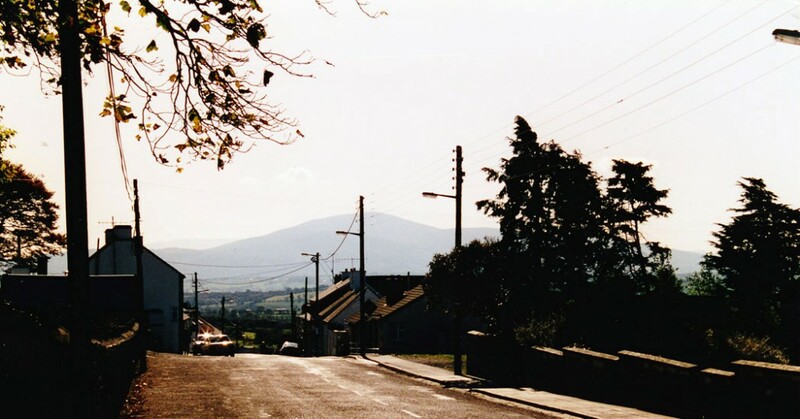 Ballingarry was the see of the Deanery of Slieveardagh until the 1950’s. It is mentioned as such in the Papal Taxation or Peters Pence lists of the years 1294 and 1302. 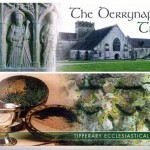 It is also mentioned in the Visitation List of Churches made by Archbishop Richard O’Hedian in 1437. 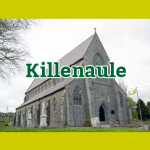 In the 18th century the Deanery embraced the following parishes: – Ballingarry, Derenaflan, Boulick, Killenaule, Lisnamrock, Ballinure, Graystown, Ballygraffney, Lickfin, Kilbrannel, Crohane, Fennor, Kilnerath, Daffyn, Moyrathin or Mellison. They number sixteen, but some of them may have been only half Parishes in districts provided with ‘Chapels of ease’. The oldest recorded Parish Church was about half a mile west of the present Village in the old graveyard, which was much larger than it is at present. This graveyard contains graves from the eighteenth century to the modern day. The Cashel to Kilkenny road (named in olden times as ‘An Bothair Mór’) was run through the Graveyard and the detached portion became the field opposite. 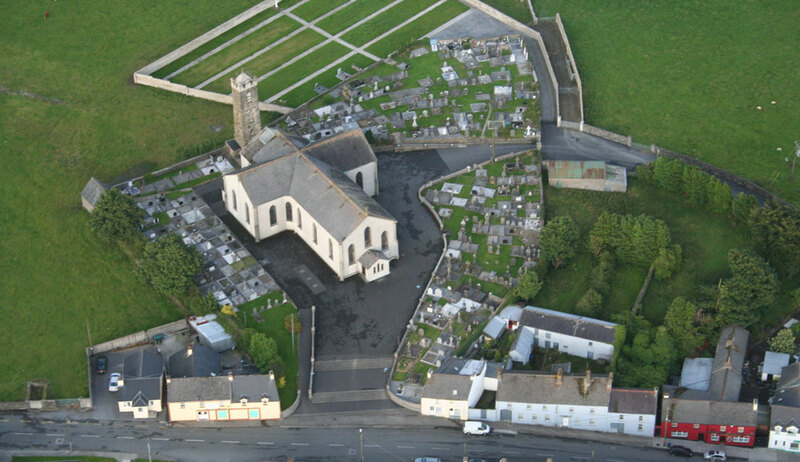 There are no remains of this ancient Church of Ballingarry; a new Protestant Church replaced it in the 18th century. 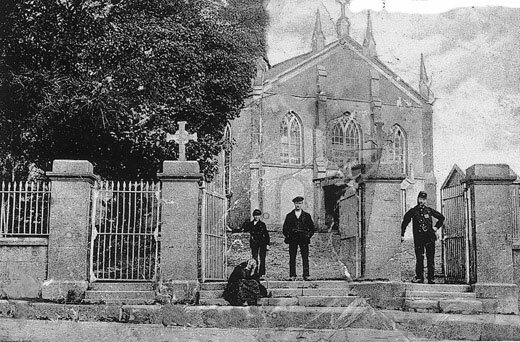 (This latter Protestant Church has vanished too, the stones having been sold c. 1890 to Ballingarry Creamery). 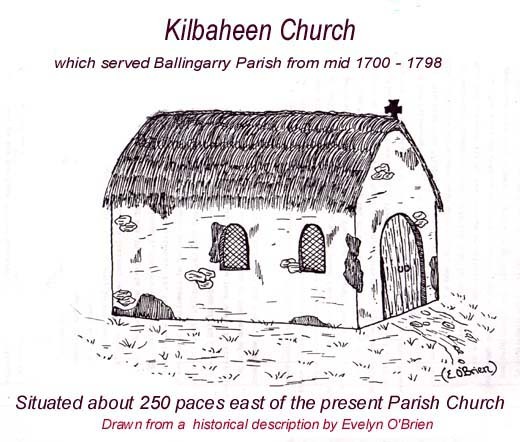 The catholic people of the Parish built a new Church at ”Kilbaheen” situated 250 yards east of the present church in 1731 during the Pastorship of Archdeacon Laurence Lonergan, PP Ballingarry 1731—1756, on land reserved by Mr. Fanning when he sold his property to Mr. Jacob (Visitation Book, pp.133 – 4). This served as the Parish Church until 1798. It was during Canon Wrights pastorship (PP 1790 – 1804) that the first church was built on its present site in 1798. 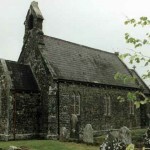 In 1832, Fr.Meighan, PP Gortnahoe, disputed with Fr. Prendergast part of the boundaries of their respective parishes; both arranged for a Station ‘in a house in the disputed area, and when they met they came to fisticuffs, for which both were suspended for a time. Dr. Laffan’s decision on the disputed area was in favour of Fr.Prendergast. Dr. Philip Fitzgerald CC Ballingarry 1842-52, and PP 1852-69. During his time in Ballingarry he saw the ravages of the Famine, and the abortive rebellion of 1848 – he wrote a short account of this insurrection (Fitzgerald papers in NLI); he also witnessed heart-rending evictions on Lord Desart’s estates in 1850 (Life of Frederick Lucas, ii—217f). Dr. Fitzgerald also left £680 for a burse for a Cashel student in the Irish College, Rome, and £400 to pay for the education of a poor student from Ballingarry in All Hallows College, Dublin. 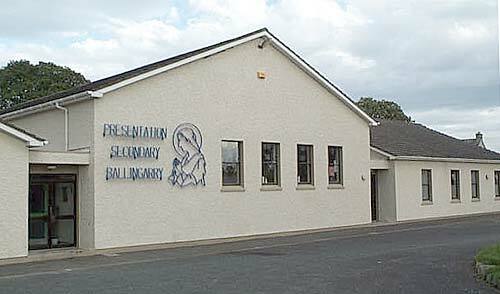 During the penal laws the Archdiocese Of Cashel & Emly was particularly fortunate to have an active and efficient underground Catholic school system. These “Hedge Schools” were recognised Catholic schools of the day. Despite their name these schools were regularly conducted in the chapels — a practice which continued in the early 19th century. The primary responsibility of the teacher was to teach Christian Doctrine. It is obvious from the ‘Visitation Book of Archbishop James Butler that the great majority of hedge schoolmasters were devoted teachers. The Archdiocese could also boast of many remarkable good classical schoolmasters who provided a more advanced education at a small fee to those who wished to benefit from it. Toby Bourke of Thurles was one of the most famous of these classical schoolmasters. Perhaps their most vital work was the preparation of candidates for the priesthood. Many of their pupils became proficient in Latin and Greek, and later moved to the National Seminary, Maynooth College where they studied for the priesthood, and in the course of time, distinguished themselves as zealous and brilliant churchmen. The sites of hedge schools are pointed out in Ballintaggart, Rouleakeale, Copper, Crohane, Boulea, Ballaghboy, Coolquill, Gragaugh and Coalbrook. For many years a classical school was conducted in Ballingarry village in a house in the Church precints, giving opportunity to many boys for preliminary studies for entrance to the Ecclesiastical Colleges for home and foreign mission. It is said that as many as fifteen or twenty students could meet after Mass on Sunday. 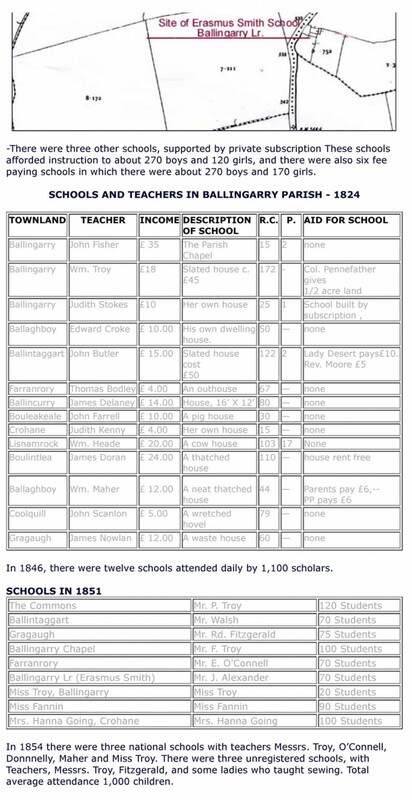 In 1731 we find that there was a school in Mohober where the schoolmaster was James Butler and one in the chapel yard of Kilbaheen under the instruction of William Pollard. In 1738 the schoolteachers were Thomas Keating, Thomas Kennedy and James Butler who taught catechism. I need viewers help in naming all the boys in this picture. It seems to be prior to the amalgamation with the Presentation girls Primary School. – Teachers:- Mrs Walsh NT and Don Byard NT. Principle. Fr.Fitzgerald was appointed PP Ballingarry in 1852, having been administrator of the parish for the previous two years. He died in 1868, and is interred in Ballingarry. 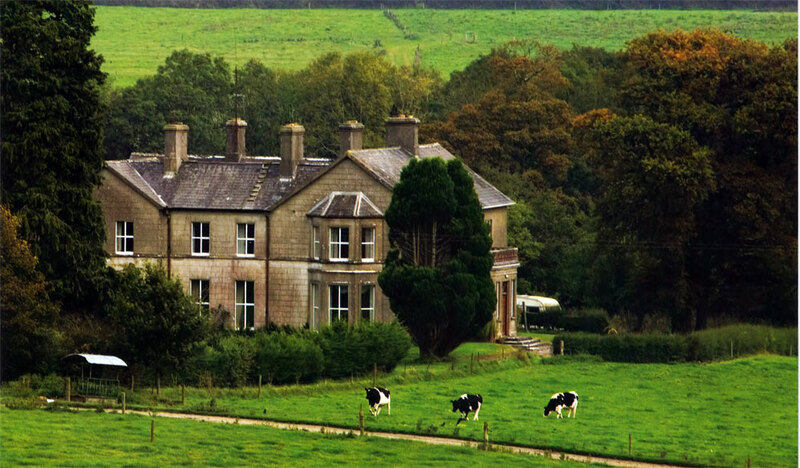 Prior to his death he had purchased the house and 27 acres from Mr. O’Donnell, Fr Prendergast nephew at Ballingarry Lr, these he left by will to the dioceses for a religious foundation. They were first offered to the Christian Brothers who declined the offer; His grace Dr. Leahy then offered the premises to the Presentation nuns Thurles who accepted; four nuns with Mother M.de Sales Ryan as Superioress opened a convent there in 1871; it flourished and prospered. When one looks back at the 130 years history of the religious and educational establishment known affectionately as ‘the Convent’, one realises how true Tennyson’s words were. Since its foundation on 22nd August 1871, the school has developed from being an elementary school at the outset to a renowned boarding school throughout the 1900’s and an ultra-modern voluntary secondary school of well over 300 pupils in the New Millennium. While the population in the area declined over many years, the current economic boom has stabilised the number of people living in the school’s vicinity. Changes in Religious Life have led to fewer nuns being available to dedicate themselves to teaching. The Presentation Sisters are no exception to this trend and the decline in their numbers has resulted in the closure and sale of the convent. Fortunately, they remain with us, living in the school’s vicinity. Changes in Religious Life have led to fewer nuns being available to dedicate themselves to teaching. The Presentation Sisters are no exception to this trend and the decline in their numbers has resulted in the closure and sale of the convent. 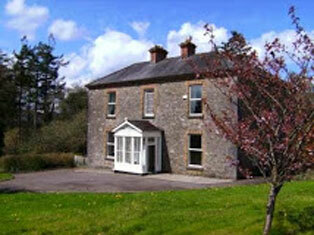 Fortunately, they remain with us, living in the midst of the community in the village of Ballingarry. The one thread of consistency through all this change has been the presence of the Secondary School promoting Christian values and providing education to the community. In effect, it is the largest service industry in the Parish employing 25 teaching staff, 2 full-time and 3 part-time non-teaching staff, who together provide a well-rounded education to 350 boys and girls. 2001 has been a momentous year in the history of the school with the appointment of the first lay principal, Mr. Tom Fennessey, who had been a member of the teaching staff for over 30 years. He replaces Sr. Anne Nevin who had given 9 wonderful years of commitment and service to the school and the community. The trustees of the school have also appointed the first lay Chairman to the Board of Management namely Mr. Henry Britton. Mr. Britton succeeds Sr. Alice Blackwell who has retired after many years of dynamic leadership to the school. Both the Principal and Chairman of the Board readily acknowledge the huge legacy of commitment to educational and Christian Living that they have inherited from the Sisters. The Convent was established under the direction of Archbishop Leahy of Thurles. When the P.P., Dr. Fitzgerald died in 1868, he bequeathed his house and land to the Archbishop with a request that a branch of a teaching order be established in the Parish. Thus to fulfil Dr. Fitzgerald’s wish, the Archbishop arranged with the Presentation Order in Thurles for the foundation of a school. On August 22nd 1871 Rev. Mother Aloysius Greene accompanied by four members of the Thurles Community; Mother de Sales Ryan, Mother Regis Croke, Sister Patrick Butler and Sister Magdalene came to Ballingarry. These Sisters endured the trials and hardships of any new religious foundation but were buoyed up by the fact that more than 100 children were enrolled for the Elementary/Primary School that they had established. The succeeding years brought developments and extensions to the Convent. There was the building of the Primary school, the establishment of a Boarding School in 1887 and the erection of a Chapel, which was consecrated by Archbishop Harty in 1916. The Golden Jubilee in 1921 saw great celebrations of Thanksgiving for five decades of progress and expansion. The Golden Jubilee of the Boarding School in 1937 brought messages and greetings from parishioners and past pupils at home and abroad. In 1940 a substantial extension to the Convent resulted in the provision of classrooms, a study room and dormitories. 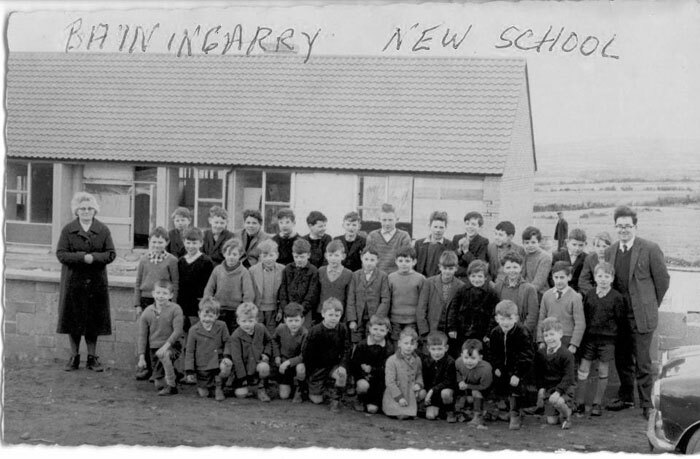 In 1961 the first ever Pre-Fabricated school building in Ireland was erected. This is the present St. Patrick’s Wing, which has recently been refurbished for the Transition Year Programme. The other Pre-Fab wing of St. Joseph’s and the Old Hall were added, by degrees, in the 1960’s. The Old Hall has been extensively refurbished to mark the 130th Anniversary. The 1960’s also saw great change with the introduction of free education by Donagh O’Malley in 1967. The Presentation Sisters encouraged by Canon Noonan saw the growing need to consider co-education. This they embraced with great enthusiasm, thus answering the needs of the time in the Community of Ballingarry and its environs. The centenary of the foundation was celebrated. His Grace Archbishop Thomas Morris concelebrated the Mass of Thanksgiving. Among the numerous messages of congratulations was one from President Eamon De Valera. Many of the present lay staff were in attendance at this event thus underlining the loyalty that they have to their school. The 1970’s saw further expansion and development culminating in the opening of the present school in 1983. This was made possible by the most generous response of the local community to the fund raising drive which was spear headed by Sr. Rosario, Sr. Regis, Sr. Leo and Sr. de Ricci. In keeping with the Presentation vision of justice and sharing, education was democratised and made more accessible by the establishment of a Parents’ Council in the 1970’s, a Board of Management in the 1980’s and a Student Council in the 1990’s. All of these bodies work in harmony and partnership with the staff in providing a well disciplined atmosphere and a happy working environment for our pupils. The contribution of all the people who give so freely of their time to these committees is immense and much appreciated. Sadly the 1990’s was marked by a decline in the numbers entering the religious orders. Despite the best efforts of the Sisters, the Boarding School was forced to close in 1996 and this was eventually followed by the closure and sale of the convent in 1998. The Secondary School however remained vibrant and buoyant with numbers increasing, new staff members being appointed and exciting new curricula added. Foremost of these was the Transition Year which has become a major attraction for students with its wide range of subjects, work experience, production of a musical, swimming, civil defence, First Aid and the annual visit to the Adventure Centre at Delphi in Co. Mayo. The School prides itself in its role of providing a holistic approach to the education of the students. The school is renowned for its excellent results at both Leaving and Junior Certificate and takes great pride in the friendly and warm atmosphere that exists between parents, pupils and staff. All this is proudly celebrated at our Annual Prize Giving Day which has been graced by many illustrious guest speakers, namely John Lonergan, governor of Mountjoy; Dr. Tom McGrath of Maynooth; Senator Brian Crowley; Con Hogan, chairman Tipperary County G.A.A. Board; Professor Triona Clutterbuck and Mary Wilson(R.T.E.). 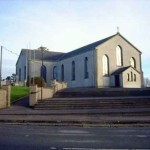 The year 2001, the 130th Anniversary of its foundation, was marked by the celebration of a Mass of Thanksgiving in the Parish Church, Ballingarry. Ambitious plans are afoot for the development of a new block of specialist class rooms, a reception area and entrance. The building of a new ultra-modern sports hall will cater not only for the needs of the school but also for local needs. The School Community marches proudly into its third century serving the needs of the people of Slieveardagh. In the words of our most illustrious and much respected former teacher Sr. de Ricci, we say “Ad multos Annos”. Before Oliver Cromwell came to Ireland the land of Ballingarry belonged mainly to the Lismolin branch of the Butler family, three Fanning brothers, the Earl of Ormonde and a Marnell family of Lisnamrock. The only castle which was intact after the Cromwelliam campaign was at Farranrory. From 1641 until 1650 Sir Pierce Butler, Viscount Ikerrin was Lieutenant General of the Leinster army under another member of the same family, Lord Mountgarret. Pierce Butler and his family lived at Lismolin Castle. Later the family lived at Wilford. The family also owned Clonamicklon Castle and land in Gortnahoe. Cromwell confiscated the land and Butler was sent to Connaught before May 1654. On the 25th January 1654 he was ordered to appear before Cromwell’s commission in Clonmel to give the names of his family and the number of his stock and crops. He also had to name his tenants and friends who were to accompany him across the Shannon. His list of stock was small, numbering four cows, five horses, twenty-four sheep and two pigs. He also had sixteen acres of winter corn. He was to leave behind his wife and family, while he went to Athlone to investigate where he was going to get land in Connacht and to build a house. His family were to follow in Autumn when the corn was cut. In the meantime he fell sick and got a licence to go to Bath in England for six months to help him recover. On his return he evaded transportation to Connacht. In 1656 he went to London and met Cromwell, pleading his poverty. Cromwell instructed the Lord Deputy in Dublin to give him back some of his land. There was no further account of him. Shangarry was given to one of Cromwells soldiers, Lt. Humphrey Minchin, while Ambrose Minchin got Coolquill. A Langley who lost his land in the siege of Clonmel got Coalbrook and a Lt. Jesse got Farranrory. Jessfield is called after him. The Barony of Slieveardagh was given to Cromwell’s soldiers. The Butler saga did not end at this stage. Sir Pierce’s grandson James who was in school in England during Cromwell’s campaign here, became a Protestant and claimed back the land stating that he was an innocent Protestant. He was born in 1639 two years before the 1641 insurrection. He succeeded in this claim and also got the land of his kinsmen, the Kellys. As 3rd Viscount Ikerrin he married Eleanor the daughter of another Cromwellian, Col. Redman who got 17,000 acres in Kilkenny around Ballylinch and the present day Mount Juliet. This land was mainly owned by the Ballylinch branch of the Graces. This Butler line continued down to the 8th Viscount Ikerrin who was created the 1st Earl of Carrick in 1748. The 3rd Earl of Somerset Richard was born in 1779. He borrowed a lot of money to purchase more land around Thomastown, Kilkenny. He got into financial trouble around the time of the famine and much of the land was sold under the Encumbered Estates Act. At that time the family owned land in Tipperary, Kilkenny, Leix and Co. Down.